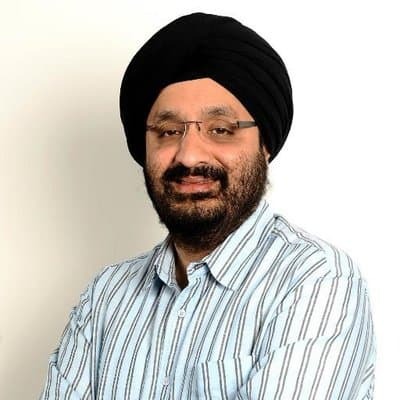 BANGALORE, INDIA: EdTech company, Simplilearn has roped in industry veteran and the Digital Advisor to the Mahindra Group and International Data Corporation (IDC) Jaspreet Bindra as an advisor for its Digital Transformation Academy. Jaspreet will play a key role as faculty advisor, to build and enrich the learning curriculum in the Digital Transformation category and counsel Simplilearn’s global enterprise clients on their learning goals and strategies for digital technologies. The Simplilearn Digital Transformation Academy covers all aspects of people, process and technology to achieve competency in digital technologies including Big Data, Machine Learning and Artificial Intelligence, Cloud Computing and DevOps, Programming, Cyber Security, Digital Marketing and more. “An early adopter of digital transformation, Jaspreet is a forerunner in transitioning Fortune 500 companies from legacy-based operations to digitally-focused powerhouses,” said Anand Narayanan, Chief Product Officer at Simplilearn. Until recently, Jaspreet Bindra was the Senior Vice President of Digital Transformation at the Mahindra Group of Companies. In his effort to promote digital initiatives at these companies and others, Jaspreet has built governance mechanisms, helped incubate disruptive corporate startups and has led digital transformation programs for automotive, agriculture, hospitality, financial services and retail sectors. He also heads the Emerging Technologies Council for the Internet and Mobile Association of India (IAMAI).